At Physio-Life we specialise in three core areas of physiotherapy: neurological hydrotherapy, vestibular rehabilitation and respiratory physiotherapy. Here you can read more about these three specialisms and the types of treatments available. For more information on the broad range of specific conditions we treat, click on the relevant condition area below. Neurological hydrotherapy is the treatment of patients who have a neurological disorder in warm water. 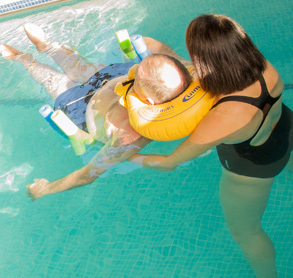 As neurological hydrotherapists we have a vast amount of experience in treating neurological patients. 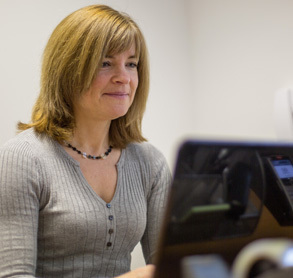 Our aim is to maximise our patients' functional ability and improve their quality of life by combining our knowledge, experience and expertise with a determined, positive and reassuring approach. Find out more about which conditions we treat at the hydrotherapy pool in the Putteridge Estate. To ﬁnd out more about Physio-Life and how we work, visit our about page or read some of our testimonials. Vestibular rehabilitation is the assessment and treatment of dizziness or balance problems which are often caused by a dysfunction of the vestibular system. We aim to identify and treat the cause of your dizziness or balance problems as early as possible, reducing the impact these symptoms may be having on your life. Find out more about which vestibular disorders we treat at our clinics in either Welwyn Garden City or Hitchin. To ﬁnd out more about Physio-Life and how we work, visit our about page. Respiratory physiotherapy or pulmonary rehabilitation is a specialist physio treatment of the lungs and breathlessness that can be provided in conjunction with the care you receive from your GP or respiratory specialist. Through pulmonary rehabilitation we aim to identify, normalise and maximise your breathing function. Find out more about which respiratory disorders we treat at our clinics in either Welwyn Garden City or Hitchin.